From Government Contractors to "Do it Yourselfers", no job is too big, no need is too small. If you don't see something listed please feel free to contact us -because more than likely, we can help you. We carry all types of pipe: black, galvanized, and pvc. Cutting, Threading, Welding, Punching, Roll Grooving and can fabricate just about any specialty item you may need. We specialize in hard to find fittings such as reducing tees and other rare malleable iron components. We stock pre-cut Bumper Posts (bollards) in a variety of sizes, clean and ready to paint (including Square stock) and also Powder Coated Safety Yellow. You will find a variety of Valves for Plumbing, Gas and Fire service applications in addition to high pressure and flanged connection components. Use our quick Quote Form to cost out your next job or Apply for Credit online. Lakewood Pipe keeps a large inventory of bollard posts on hand at competitive prices. These are otherwise known as bumper posts, traffic posts, bollards or simply "steel posts". Lakewood can also custom-manufacture bollards to any design or detail - locking, removable, surface mounted posts etc. Lakewood Pipe carries a large inventory of malleable iron pipe fittings in every size, both import and domestic, black and galvanized. Lakewood Pipe specializes in pipe. Prime pipe is certified to various ASTM ASME and API specifications. A53, A252, A500 and API 5L are some of the most common. We carry pipe in black, galvanized, and pvc. If we don't have it in stock, we can provide you with pricing on getting it as soon as possible. Steel tubing including square, rectangular and round is always on hand and in-stock. Lakewood Pipe also carries all the structural shapes like angle, channel, beams and bar. Lakewood Pipe will weld and fabricate any custom detailed project you may have. We can also detail and design to customer specifications. We carry several different certifications including AWS and City of LA. 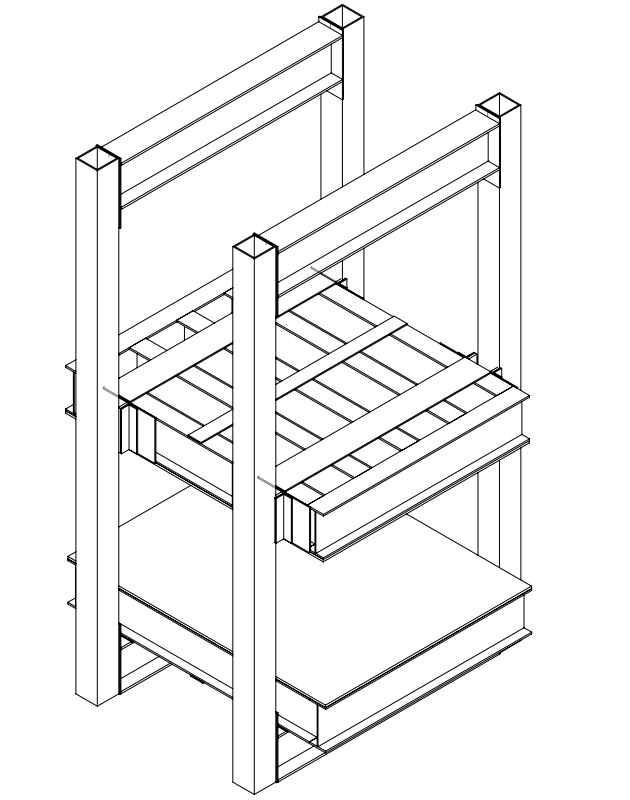 If you let us know your project's requirements, we can design and fabricate a product to fulfill your unique needs. LakewoodPipe.com manufactures and supplies various types and styles of bollards designed to protect your property from vehicle damage. With a large inventory on-hand, you will find the pricing and delivery unmatched in Southern California. Lakewood Pipe and Steel also provides cosmetic covers with 10 year warranty protection to eliminate the need to paint and maintain. Made of steel, comes in various diameters and lengths. Set in concrete and filled with concrete. Plate mounted bollards are usually filled with concrete and surface mounted, anchored with large bolts. They are useful in warehouse environments, parking garages and retrofit applications. Our plastic bollard covers offer a great look and eliminate the need to paint or maintain traffic posts. They come in various sizes and colors to fit your application. Removable bollards offer flexible solutions for traffic control. They can be configured as theft-prevantitve locking or standard floating for warehouse/parking garage applications. 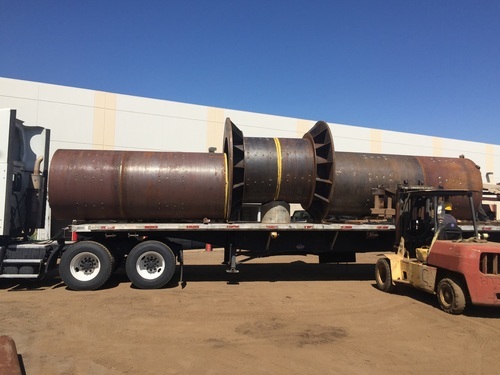 Lakewood Pipe and Steel is a family-owned and operated business that provides some of the most difficult and complex fabricated steel products to the construction, environmental and pipeline industries in Greater Los Angeles, Southern California and beyond. Lakewood Pipe is a LA City Certified Fabrication shop and holds an ISO 9001:2015 certification. 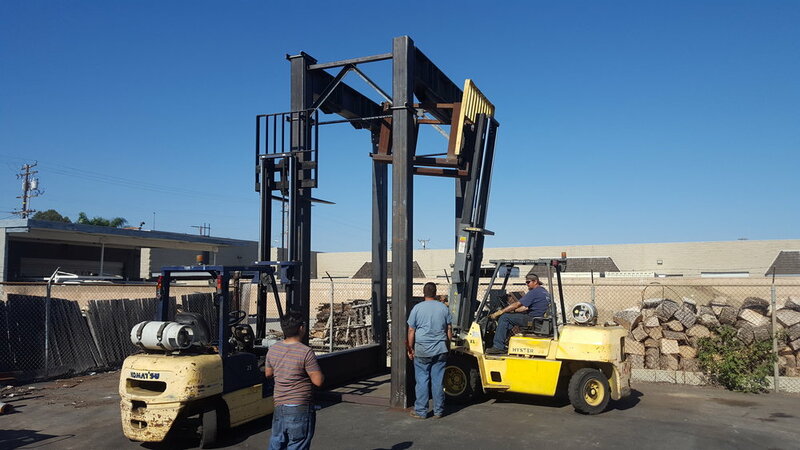 Welders on staff are both AWS and LA City certified. Bellflower - Lakewood Pipe and Steel has been serving the Los Angeles/Southern California area continuously since 1919. Call us today at (562) 633-1326 and put our years of experience to work for you now!